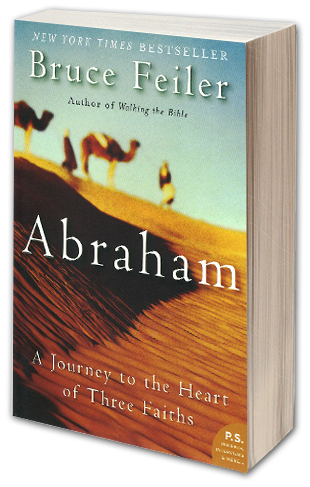 Both immediate and timeless, ABRAHAM tells the powerful story of one man’s search for the shared ancestor of Judaism, Christianity, and Islam. Traveling through war zones, braving violence at religious sites, and seeking out faith leaders, Bruce Feiler uncovers the defining yet divisive role that Abraham plays for half the world’s believers. Provocative and uplifting, ABRAHAM offers a thoughtful and inspiring vision of unity that redefines what we think about our neighbors, our future, and ourselves.